20.03.2008 - GOG showed an impressive performance in the CL. 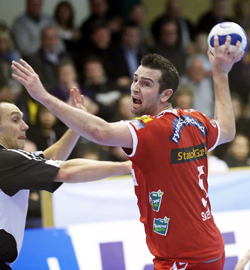 Their Swedish coach, Ulf Schefvert, talks about the season. Why GOG did better than expected? 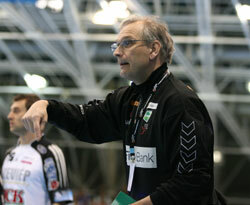 18.03.2008 - Eurohandball.com's Danish journalist analyes the unexpected success of GOG in the CL. 25.02.2008 - GOG were able to keep one goal until the end after leading by six against Celje. 18.02.2008 - Though GOG had their chances, Szeged won the dramatic match with the goal of Krivokapic.